Golden leaves, turning greenish yellow in late summer, autumn and winter; some plants produce normal green branchlets. Hardy in the north of the Netherlands. Sport on 'Red Imp', flowering about 2 weeks later; found in Boomkwekerijen Bosch (Westerlee, Groningen, Netherlands) in 1993; named and introduced in 1999. Ericultura 115: 6 (1999). Daboecia x scotica is a hybrid, of garden origin, having the compactness of Daboecia azorica and the hardiness of Daboecia cantabrica. The leaves are glossy, smaller than those of Daboecia cantabrica. 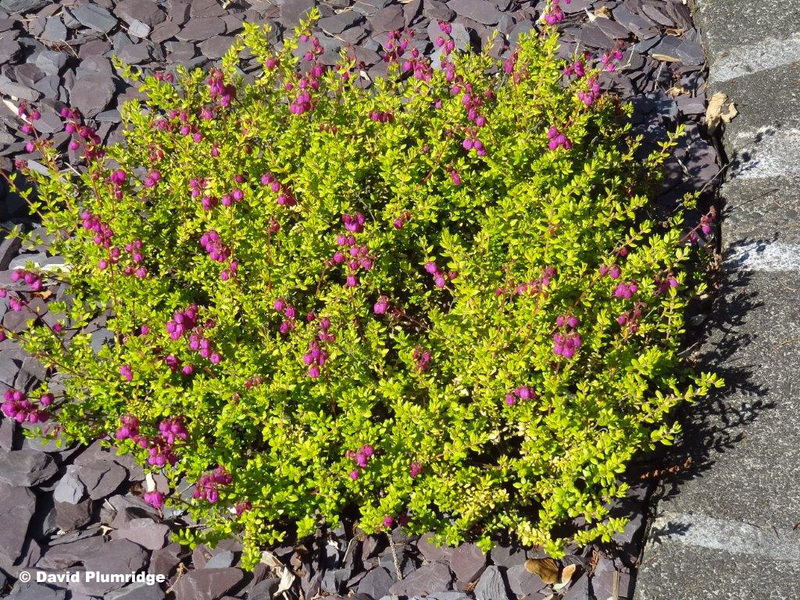 It is ideal for ground cover in the small garden, flowering profusely between June and November. It is suitable for hardiness zone 6. Hardy in northern England (plant in the photograph is growing at Consett, in County Durham at 225m above sea level) and in such places as the north of the Netherlands.